Service rePublic, a joint initiative by Cork County Council and Cork Institute of Technology, will be hosting a major international Service Design conference at Fota Island Resort, Cork, on Tuesday, September 26th. 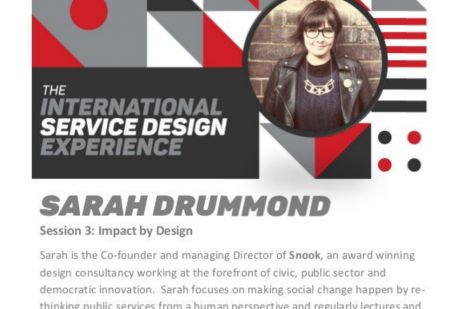 The International Service Design Experience is the first event of its kind in Ireland and is for people from all sectors interested in Service Design and Design Thinking, to meet and share their ideas and experience. The format includes rapid-fire presentations and expert panel discussions along with opportunities for delegates to network with national and international leaders in Service Design. We’re part of a great line-up of speakers! Speakers from many sectors will come together to share their experience on engaging citizens and customers and delivering better services. In the opening session, 5 Global Design and Innovation leaders will discuss service design policies, perspectives, and practices in an international context. Which countries are leading the charge in service design? What can we learn from them and how can we apply those lessons to the public and private sectors? 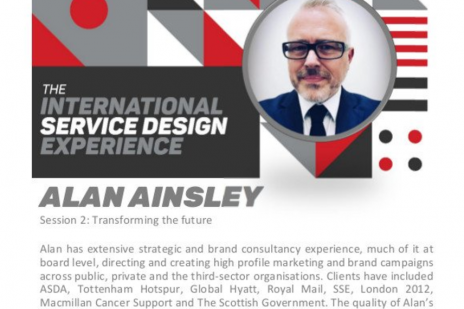 In the second session of the day, delegates will hear how Service Design is making an impact on addressing the transformation agenda in the public sector. Where is Service Design being used and embedded in national government, local au-thorities, third level institutions etc? How can Service Design transform Public Services? The closing session of the day examines the potential for service design to ignite innovation in all sectors and is presented by practitioners in finance, design, technology and management consultancy spheres.